If you're the typical dad who spends his days working and leaving the work all up to mommy, then you're most likely unaware of this new child-rearing technique called babywearing. I myself was also oblivious to this practice not until 2 years ago when I saw it in a parenting book. After reading all about the numerous benefits of babywearing, I immediately became a fan. Did you know that the person who coined the term babywearing is a guy? Not just some guy, he's also a father of 8 kids. Dr. William Sears is an American pediatrician who has been closely studying the effects of babywearing both for infants and their parents since 1985. So, for those dads who might be thinking that this another fad, think again. Let's take a closer look at some of the wonderful benefits of babywearing. Infants are naturally closer to their mothers. Especially, if they're breastfed. One more reason is that mothers are a child's first carer. So, it goes without saying that as a dad you have to make an extra effort to create a closer relationship. And the best way to this is by babywearing. Wearing your baby will work wonders for your child. The physical contact alone will help increase their oxytocin levels or the love hormones. This hormone helps with the baby's anxiety and helps foster a closer and deeper connection. In some cases, babywearing is even advised by health professionals for premature babies and low birth weight infants because it increases their chance of survival. No one likes to hear a baby crying, especially at night. According to a study made by Dr. Sears, infants who were worn for at least 4 hours a day cry 43% less than those who weren't. Start wearing your kid now and get a more relaxing sleep tonight. As a parent, nothing is more is more important than the skill to multitask. When you wear your baby you are able to use your 2 hands for other things. Imagine wearing your baby while doing work at home, while playing with your other kid, or playing that new PS4 game. Your activities will not be limited when you're wearing your baby. 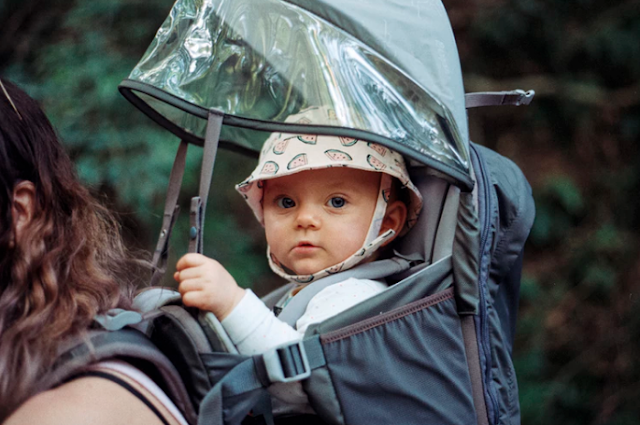 More than being hands-free, baby carriers and slings are a more convenient alternative than strollers. No need for you to bring those bulky and heavy strollers up and down the stairs. You're already packing so many things for your kid, it's one less thing to worry about. As you can see, babywearing isn't just a fad created to create a demand for slings and carriers. It's actually good for you and your child. Babywearing creates a more empathic and secured environment for your kids. They won't stay little forever, so make time and take this opportunity to bond by wearing them. What are your babywearing experiences? Let me know in the comments.